CBS News reports that U.S. Customs and Border Protection is doing medical exams on thousands of children in its custody, after the death of a second migrant child this month. Homeland Security Secretary Kirstjen Nielsen says the immigration system has been "pushed to a breaking point." 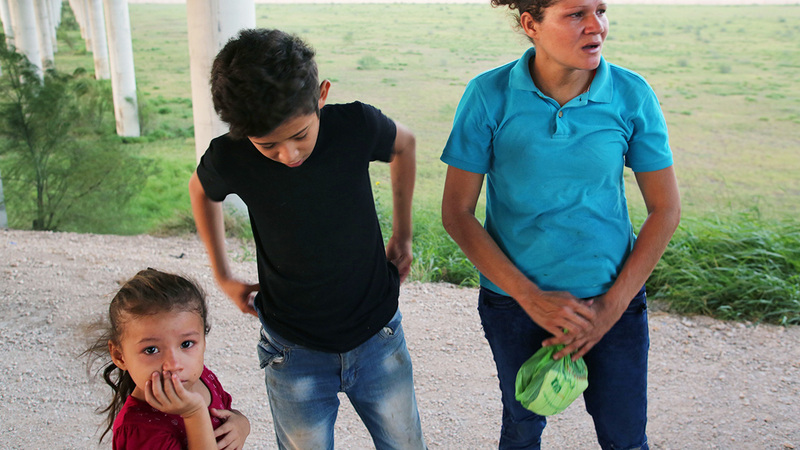 She says more than 68,000 families and close to 14,000 unaccompanied children have come to the southern border in the past two months seeking refuge. As Janet Shaman reported on the scene, the holding centers at the border of El Paso, Texas are overwhelmed. This comes after the death of 8 year old Felipe Alonzo Gomez who died of flu like symptoms after being treated than released from a hospital. This is less than 3 weeks after the death of 7 year old Javelin Caal, who died from dehydration and shock. CBS News reports that both deaths are now being investigated as they raise concerns about the ability of border agents to care for the thousands of migrants who are now trying to immigrant to the United States. Even though additional steps are being mandated by Homeland Security and U.S. Customs and Border Protection to prevent the deaths of future children, National Nurses United is proactively trying to help however they can. They have already deployed eleven hundred nurse volunteers to help at the border, to assist those who are fleeing from poverty, fleeing from violence and are coming to our country for help. Source: You can view the entire video and report at CBS News.